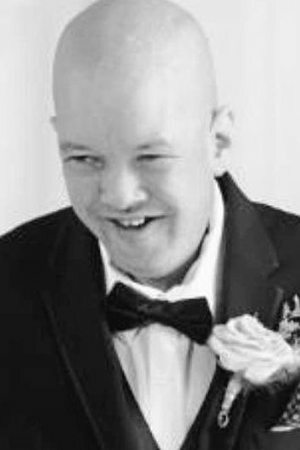 PORTLAND – Ryan Scott Uhuad, 43, of Portland, formerly of Jay, passed away peacefully surrounded by his loving family on Thursday, April 11, 2019, at his home in Portland. He was born on Dec. 29, 1975, in Farmington, Maine, to Generoso “Gene” and Cheryl (McDonald) Uhuad of Jay. He was a 1995 graduate of Jay High School. Ryan will always be remembered as a gentle giant, a passionate fan of McDonald’s hamburgers, and an elaborate story teller. He was also an avid bowler, gameshow enthusiast, and lover of pop music. He loved spending time with his family and helped those around him appreciate the little things in life. Ryan is survived by his parents, Gene and Cheryl of Jay; his brother Randy Uhuad and his wife Betsy of Saco, his sisters Ashley (Uhuad) Roy and her husband Alex, and Kristen (Uhuad) Hewitt and her husband David, all of Marion, Mass. ; maternal grandmother Marguerite McDonald of Jay; nephews Hunter and Henry Uhuad; and multiple aunts, uncles, cousins, and his dear friend, Mary Dunlap. Ryan is predeceased by his maternal grandfather, Carroll McDonald, and paternal grandparents, Jose and Maxima Uhuad; uncles, Domingo and Jose Uhuad; and cousin, Jennifer McDonald. The Uhuad family would like to extend their sincerest gratitude to Ryan’s group home, Port Resources, for providing exceptional care, and for being a second family to Ryan. Messages of condolence may be sent to: www.finleyfuneralhome.com. Family, friends, and others whose lives Ryan touched are invited to attend his memorial service at 1 p.m., Saturday, April 20, at FINLEY FUNERAL HOME, 15 Church St., Livermore Falls, Maine. Visitation will be held from 12-1 p.m., prior to the service. Interment will be held at Pleasant Hill Cemetery, 100 Fayette Rd, Livermore Falls.